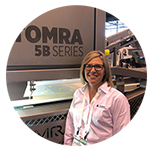 Jill joined TOMRA in June 2018 as Area Sales Manager - Midwest. Before coming to TOMRA, she held several sales positions in her career working in Business-to-business (B2b) industrial sales. She has a B.A. in German and International Relations. 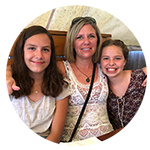 Based out of her home near Chicago, Jill has responsibility for processing sorters and peelers in Illinois, Indiana, Michigan, and Iowa and manages several large accounts across the greater Midwest region. 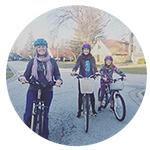 Jill has 2 daughters and when she’s not working, she enjoys riding her bike, yoga, strength training, and shoe shopping. What is your role at TOMRA Sorting Food? Area Sales Manager - Midwest US. My responsibility at TOMRA includes developing and supporting TOMRA’s business across the lower Midwest US. 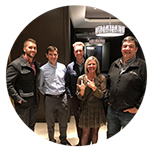 I work directly to support our existing customers and on new projects to help them define solutions for their applications. The Midwest has a huge variety of food processing businesses, so I get to work with everything from vegetables to nuts to confectionary. Why did you decide to work for TOMRA? I decided to work for TOMRA for several reasons. 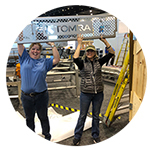 I’d say that the top reasons are TOMRA’s mission to better utilize natural resources, TOMRAs strong commitment to developing their employees and the challenge of learning something new. A lot of companies these days have a mission to improve the world and the environment through initiatives, but at TOMRA I have the opportunity to make a direct and enormous impact on our world. It’s a place where our responsibility as humans and business intersect. What does your average work day look like? I would split my days into two categories: when I am in the office and when I am on the road. When I am in my home office, I generally spend the day at my computer following up on projects, taking conference calls and getting organized for the next trip. When I am on the road, it’s usually a very early start so I can pack in as much as possible. I visit customers for startups, meet with new customers to discuss projects and check with existing customers on how the sorters are running. In the evenings, I try to combine relaxing and trying some local restaurants, hitting the gym, and catching up on the requests and emails that came in all day. I love being a road warrior – it’s something new and exciting every day. You have to be really flexible and adaptable because there are so many moving parts. I most enjoy seeing our customer’s factories and processes. Learning someone’s business and hearing their experiences lets me see things through their eyes. The process of how something begins its life as a product and all the steps that go into it before a consumer sees it, never stops amazing me. I have seen hundreds, if not thousands of different factories in my career. This gives me a wider view than most people when it comes to seeing patterns and solutions in one place that can improve processes in another. What's your favorite holiday destination? I love to travel and see different places. The hustle of big cities is always exciting. I have a very hard time slowing down and I don’t do it enough. When I need to slow down and recharge, there is nothing better than a few days at the beach lounging around in the sun and getting some fresh air. Walking through the thick, warm sand forces me to go slower. What's your greatest business achievement? That is a work in progress. Greatness is the sum of many small things. What's your greatest personal achievement? Describe your role at TOMRA like you would to a friend at a BBQ? I sell equipment to the food industry. Big machines with cool things like lasers and cameras and algorithms so we can look at everything coming into a food plant … essentially our machines are one of the reasons you don’t get a frog in your spinach and the fries you eat look so pretty. We take out what doesn’t belong in your food before it gets to you. What is the most challenging aspect of your role at TOMRA? Staying organized and on top of existing customer needs, while planning for and finding the customer who doesn’t know they need us yet. Because I have only been here for 6 months, I also have so much to learn about this business and while I like to think I am patient, I want to know it all today. I am extremely grateful to my colleagues for helping me on this journey. I don’t know that I have ever felt so much support. What are the lessons you’ve learned during your time at TOMRA? Mother nature is fickle and this has a direct effect on how and whether our customers are successful. Throughout your career – is there a particular day that stands out? Yes. The day my phone rang and it was the Plant Manager of a customer of mine. I was selling high speed cameras at the time that were used to troubleshoot packaging and production lines. His plant had purchased my product about 6 months earlier. He called to tell me that his phone no longer was ringing in the middle of the night because his staff was able to solve so many problems themselves, thanks to the system I’d sold them. Having that kind of an impact on one person’s life is an incredible feeling because I know there is a positive ripple effect on his employees, his bottom line and most importantly his family. If you could switch your job with anyone else at TOMRA, whose job would you want? Bjorn Thumas. Three of his responsibilities are things I am passionate about – business development, strategy and the marketing message. 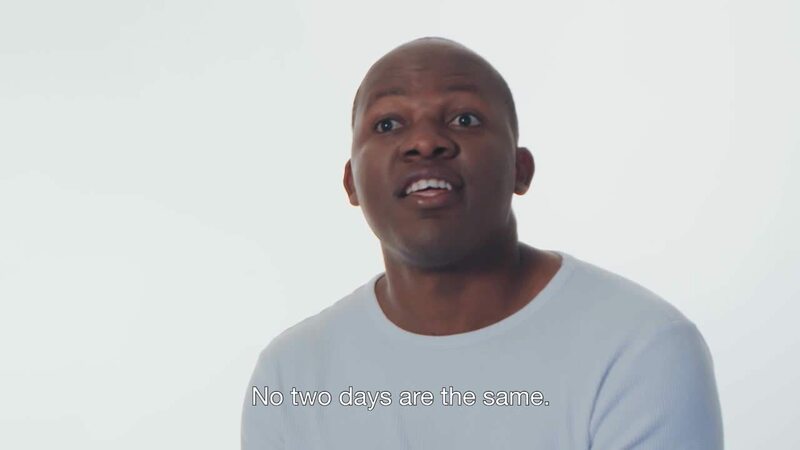 What do you in your days off? Hang out with my daughters and my friends, go to the gym, yoga, maybe a bike ride and shop. Just relax and laugh. I try really hard not to have much of an agenda on the weekends.